DAVAO CITY (Mindanao Examiner / Oct. 9, 2011) – Communist insurgents have freed a southern Philippine town mayor and two soldiers after two months of captivity in the hinterlands of Mindanao. Rubi del Mundo, a spokesperson for the New People’s Army, said Mayor Henry Dano, of Lingig town in Surigao del Sur province; and his bodyguards Private First Class Allan Saban and Corporal Alrey Desamparado were freed after various humanitarian organizations appealed for their safe release. The trio was seized August 6 in a daring raid on the politician’s house in Lingig town. 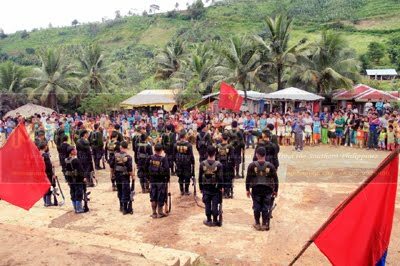 The NPA accused Dano recruiting militias to fight the rebels and violating civil rights of tribesmen and killing a tribal leader who was opposed to mining activities in Lingig town. While the two soldiers admitted to be involved in covert operation against the rebel group in the southern town. “His case is conditionally archived to give way to his release. 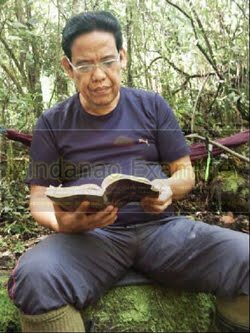 But in the event that he willfully commits an act or acts that constitute as violation of human rights, international humanitarian law and the laws and policies of the people's government, he shall be rearrested and put to trial,” Del Mundo said, adding the mayor was freed to his family. Dano previously appealed to President Benigno Aquino to stop military rescue operation to allow peaceful negotiations for their safe release. “As we release Mayor Dano today, we also warn those despotic big landlords, big compradors, environmentally destructive foreign mining firms, large agricultural plantation owners and politicians who maintain private armed groups to exploit, oppress and terrorize the masses: you will have your day before the bar of revolutionary justice,” Del Mundo said. Both freed soldiers said they would resign from the military service. They had been sentenced to death by a rebel court, but were conditionally released after apologizing to the NPA for their roles in anti-insurgency operations. “They have admitted their crimes and a decision by an NPA military court to order their deaths after due trial is justified and would not in any way contravene international rules governing armed conflict. But they are being conditionally released to give them a chance to remold and rectify by ceasing any participation of the armed counter-revolutionary operations of the Philippine government. But should they violate these conditions by continuing acts of hostility and aggression against the masses and the revolutionary movement, they shall be consequentially placed in the NPA Order of Battle,” Del Mundo said.